The “Light Tavern” is a member of the new range of hollow clocks. We have handmade it from a single panel of pine wood. 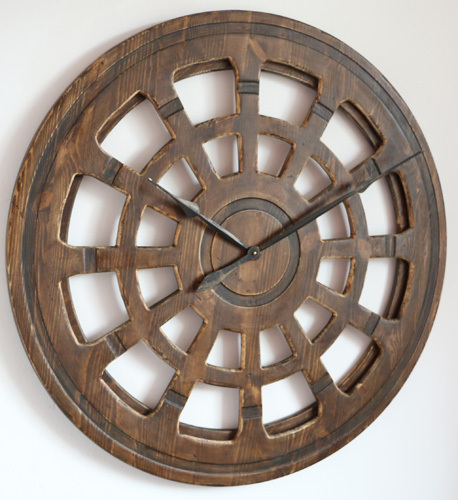 The clock face with its stylish design and features looks beautiful and you can see the wall through it which allows you any kind of background colour. If you look closer the clock face looks three dimensional thanks to the background rim slightly visible. With a total diameter of 30″-48″ the Light Tavern will be centrepiece of attention in your home environment. The “Light Tavern” is the basic wooden skeleton clock in Peak Art Online Shop. It doesn’t display traditional Roman Numerals. On the other hand it has simplistic hollow design and natural wooden appearance. 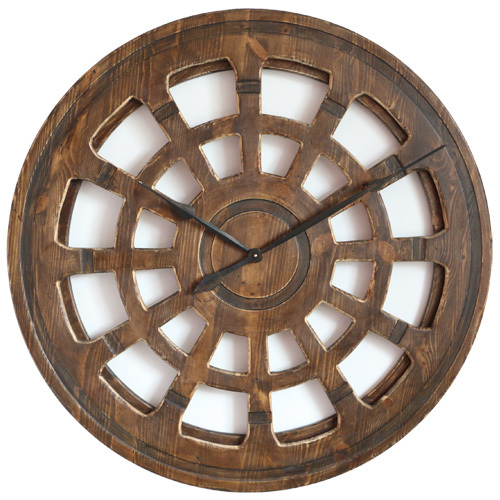 All that makes it easy to fit the clock in both contemporary and rustic interiors. 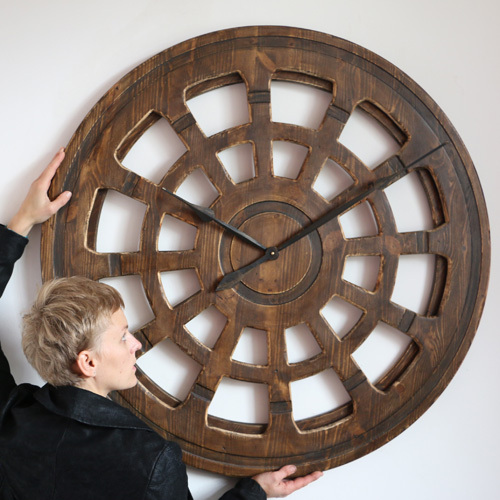 The clock face is cut out of a single 40″ panel of pine wood bolted together with narrow wooden rim. This provides charming three dimensional look. The mechanism is battery operated Quartz Sweep movement which should work for 6-9 months until you need to replace the battery. You can mount this skeleton timepiece anywhere in your house as long as you keep it away from direct heat or moisture sources. It weighs nearly 10 kg so should be placed on the solid wall with 2 bolts to secure it. Although the initial design measures 40″ in diameter we can now also offer smaller (30″) or massive (48″) sizes. Have you ever thought about this kind of unique wall decor that is also a functional art? 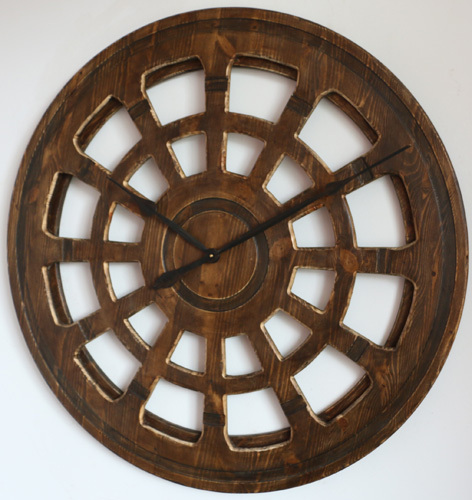 Search for Oversized Handmade Wall Clocks and you will see that Peak Art is delivering most beautiful products in this niche market. We encourage you to look at our Youtube Channel and join thousands of people in Peak Art Facebook Community to share your views and comments with other fans.